The more people who live in the Islands, the higher the demand for power. For the majority of Galapagüenos, energy has traditionally been produced using diesel generators. Today, this continues for many people who live in rural areas and for urban residents, small diesel based grids are used. This electricity is subsidised by the Ecuadorian government and so many people do not want to change to another form of power supply. 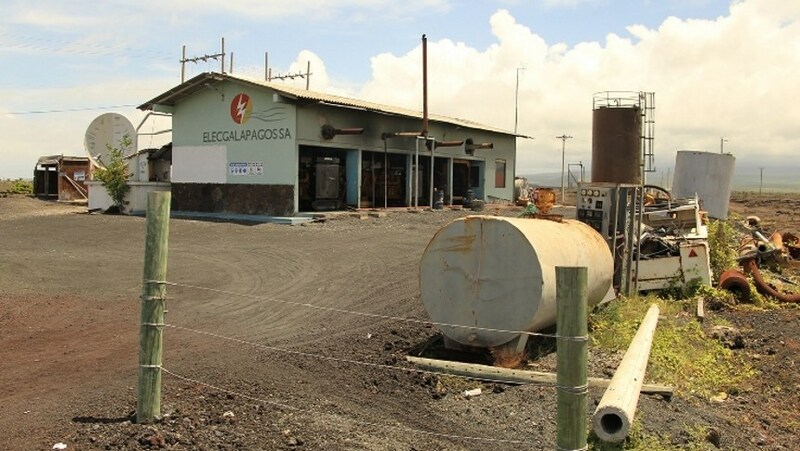 How are the Galapagos Islands powered? Small tankers transport all the fuel from the Ecuadorian mainland almost daily. This amounts to over six million tonnes of diesel a year, thirty percent of which is used for electricity generation and which in total creates over twenty thousand tonnes of carbon dioxide which is very unsustainable. It is also a dangerous act as fuel spills from tankers unfortunately occur frequently in the archipelago. 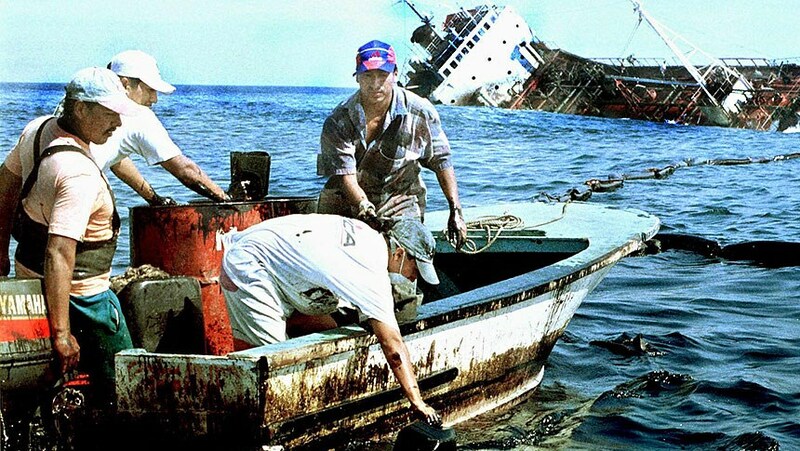 Around three million litres of diesel oil spilled from the hull of the tanker ‘Jessica’ when it ran aground off Wreck Bay, San Cristobal Island in January 2001. It was thought to be the worst marine disaster the Galapagos has ever seen. The oil spread quickly over a large area due to the weather and sea currents at the time, and too quickly for inflatable barges and pumps to make any difference. The Ecuadorian Navy and local fishermen joined volunteers from the Galapagos Islands National Park scoop oil from the surface but most of the fuel sunk to the ocean floor and destroyed algae that were essential to the food chain. It was estimated that 60% of marine iguanas were lost from Santa Fe Island due to them eating diesel fuel over time and sea lions, pelican and blue footed boobies on many of the islands had to have diesel cleaned from them. The oil spill made those in charge of energy think again about the use of fossil fuels in the Galapagos Islands. As a result, in 2007 the ‘Galapagos Islands Zero Fossil Fuel Initiative’ was put forward, which aims to make the Galapagos Islands fossil fuel free by 2020. This means diesel fuel will be replaced by solar energy, wind energy or biofuels. In 2007, San Cristobal Island became the site of the first wind farm in Ecuador. Three 80m high turbines make up to 800 kilowatts/hour each and cost nearly US$11 million to put in place. It supplies 30% of the island’s electricity demand. However, with the wind farm bordering the National Park, the exact placing of the turbines was difficult to plan. 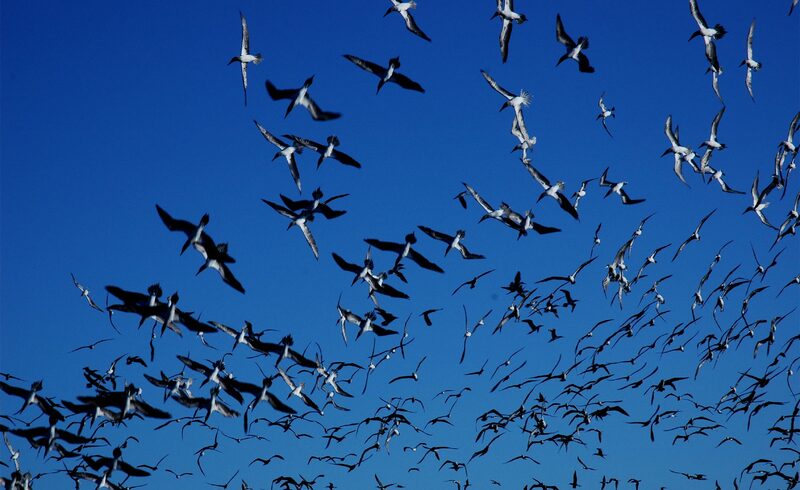 The original location of choice, on Cerro San Joaquin Hill, would have endangered the nesting habitat of the Galapagos Petrel as well as the flight patterns of a number of other birds. While the chosen site, Cerro Tropezon, had less favourable wind conditions it also had less of an impact on the local environment and so permission was granted to start the project there. As of October 2013, the San Cristobal Wind Project completed six years of operation, generating 18,309 MWh of electricity (31% of the consumption of the whole island). In that time, the project is calculated to have saved 1.6 million gallons of diesel fuel and avoided the emission of approximately 15,000 tons of CO2. You can learn more about the San Cristobal Wind Project by visiting their website.